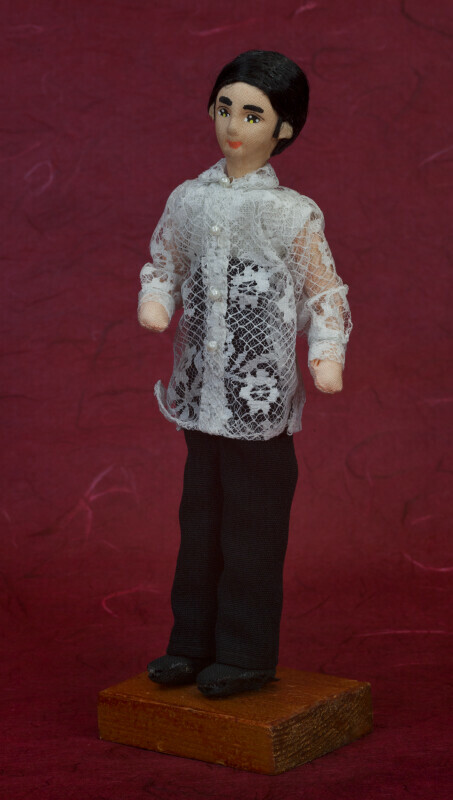 Male Filipino fabric doll wearing a traditional Barong Tagalog (a formal shirt). The Barong Tagalog is made from lace and has white beads for buttons. He is wearing black pants and black shoes. He has black hair and a hand painted face. The figure is 7 inches (18 cm) tall.